If you’re want to update the look and feel of your home, planning that ever elusive extension or maybe it’s time for that new home you have always dreamed of, then you’ll find the answer at the Home Ideas centre. On November 4, Home Ideas is running a special Home Expo day where experts and exhibitors will be on hand to discuss your needs. No matter what stage you are at in your build or renovation process, it will be worth a trip to the Home Expo and it is free to the public. The Home Ideas centre is not only Christchurch’s permanent “Home Show”, it is so much more. It is a conduit between exhibitors, designers, specifiers and the public. Free seminars are held on a weekly basis for the public and range from specialist first home buyer seminars through to energy saving solar power and everything in between. The seminars are a fantastic way for the public to gain a greater understanding of the new products and innovations that are current to market needs and trends and are delivered by experts in their chosen field. The seminars are highly patronised, so much so that bookings are essential. The Home Expo will be an extension of this. There will be more than 30 specialist exhibitors on hand to discuss your requirements, from the interior design of your home right through to landscaping your back yard. It will be an interactive event with a sausage sizzle and a bouncy castle for the kids. The Home Ideas centre is undercover and located at 37 Mandeville Street in Riccarton and is open seven days a week. 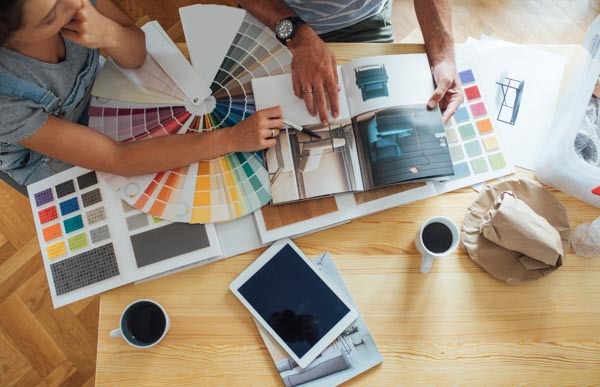 From interior design advice to inspirational build ideas, the friendly staff are on hand and willing to help you achieve the best result possible and, if they don’t know something, they will seek out an expert to help. They are always looking for ways to make your project easier. With plenty of experience working with local tradespeople and manufacturers in Christchurch and the South Island, owner Griff Simpson says a trip to Home Idea is a`must visit’ when renovating or building.